JOHANNESBURG, April 4, 2019 /PRNewswire/ -- NetDragon Websoft Holdings Limited (HKSE: 0777) (NetDragon), a global leader in building internet communities, signed a memorandum of understanding (MOU) on digital education with the leading Russian B2B-platform for cross-border e-commerce, Global Rus Trade, at the BRICS Business Council Midterm Meeting in Johannesburg, South Africa. Held from April 3 - 4, the conference gathers representatives from Brazil, Russia, India, China, and South Africa (BRICS) and its related institutions to strengthen business, trade, and investment ties within the five-nation association. The MOU seeks to leverage the respective technological and resource strengths of both countries' enterprises and jointly promote such collaborative practices to the other BRICS countries. 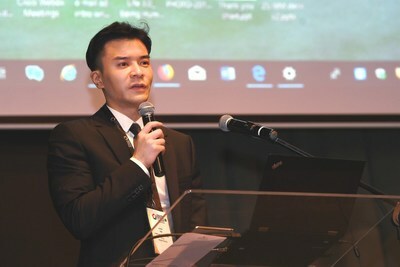 A core member of the BRICS Business Council's Digital Economy Working Group, which brings together relevant business organizations from all member countries in an in-depth exploration of their industry, NetDragon was also invited to participate and share its independently-developed White Paper on Education Technology in BRICS 2019. The white paper analyzes the current education policy, systems, and performance in each country. "In the future, NetDragon will team up with other member companies to jointly conduct education research and offer planning recommendations for BRICS countries," said Mo Junqi, vice president of NetDragon who attended the meeting in Johannesburg. 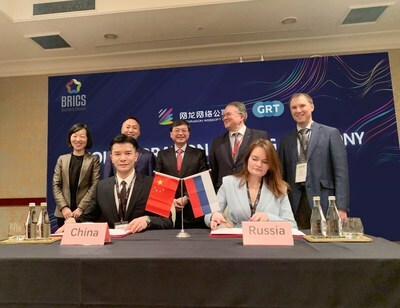 "In addition to working closely with the BRICS countries, NetDragon has confirmed two major partnerships with Russia in the field of smart education in the last two years, bringing our products to more than 20,000 classrooms across the country," said Dr. Xiong Li, CEO of NetDragon. "Not only is NetDragon seizing the win-win opportunities opened up by rapid globalization, but we are also answering the call of the One Belt, One Road initiative and spearheading strategic cooperation with countries within this historic network, such as Serbia, Myanmar, and Egypt. Last but certainly not least, NetDragon is launching several educational products, platforms, and applications in the United States, Malaysia, and other countries, establishing a robust offering of hardware, software, and content that covers the spectrum of age groups and businesses to meet the diverse educational needs of global users." Established in 1999, NetDragon Websoft Holdings Limited (HKSE: 0777) (NetDragon) is a global leader in building internet communities. A vertically integrated, cutting-edge R&D powerhouse with a highly successful track record, NetDragon's achievements include the development of flagship MMORPGs such as Eudemons Online, Heroes Evolved (formerly known as Calibur of Spirit), and Conquer Online. It also established China's number one online gaming portal, 17173.com, as well as its most influential smartphone app store platform, 91 Wireless, which was sold to Baidu in 2013 in the then-largest Internet M&A transaction in China. As the country's pioneer in overseas expansion, NetDragon has also directly operated a number of game titles in over 10 languages since 2003.